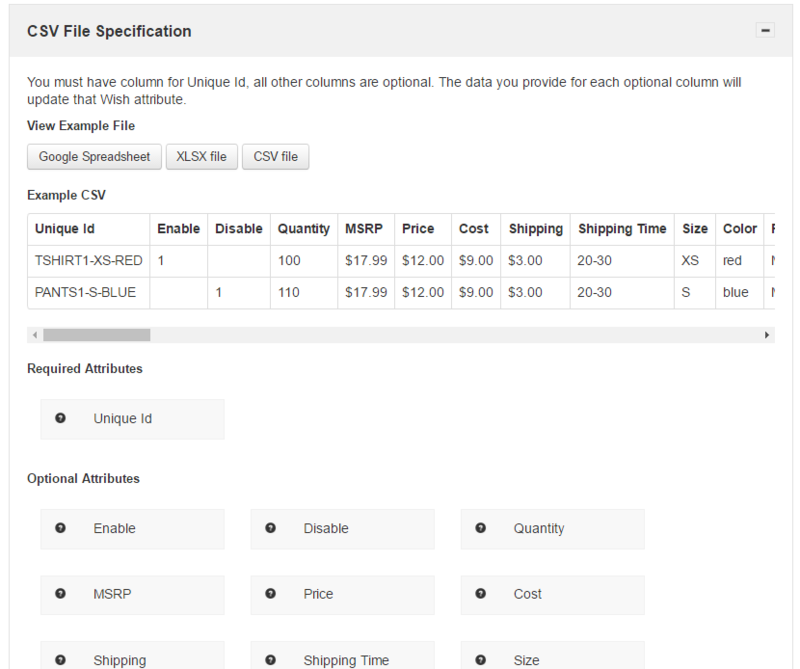 Once the feed is created and saved as a .csv, go to Products > Update Existing Products > Product CSV File. This page provides helpful information about uploading. Under Feed Specification, you can click on any attribute for more information. After you're finished creating the feed, go to Products > Update Existing Products > Product CSV File, select your file, and click Submit. That's it!